When we visited Central/Eastern Europe for a week, we spent about 3 full days in beautiful Budapest. You can see what we did in Budapest here! Another thing that we did plenty of times was eating our way through the city! We met up with some friends that live there, and they couldn’t believe how many foods we had already tried with the little time we had while there. It brings us joy to learn about the culture of a place through the food (as long as it’s not too weird of course!). We really try to research ahead of time what types of food we must try at a location, and also ask the locals what they recommend for typical food of the area. This brought us to eating waffles in Belgium, macaroons in Paris, meatballs in Sweden… and I think you get the picture. 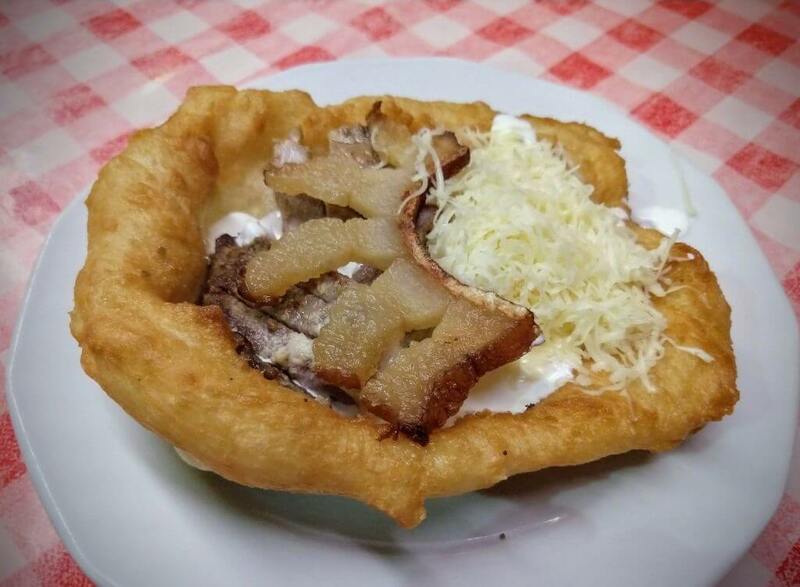 We’ve put a list of 8 actual foods we tried while traveling through Budapest. On your trip there, you should try them and see if you enjoy them as much as we did! This is a type of fried bread. You can have different toppings on top. The word lang means flame in the Hungarian language. Although the bread was traditionally baked in a brick oven, today it is most common fried in oil and eaten fresh. You can eat langos plain, or commonly with sour cream, grated cheese, and/or ham and sausage. The first time we ordered langos was at a restaurant as an appetizer. We tried it another time, from a shop that specialized only making Langos bread. 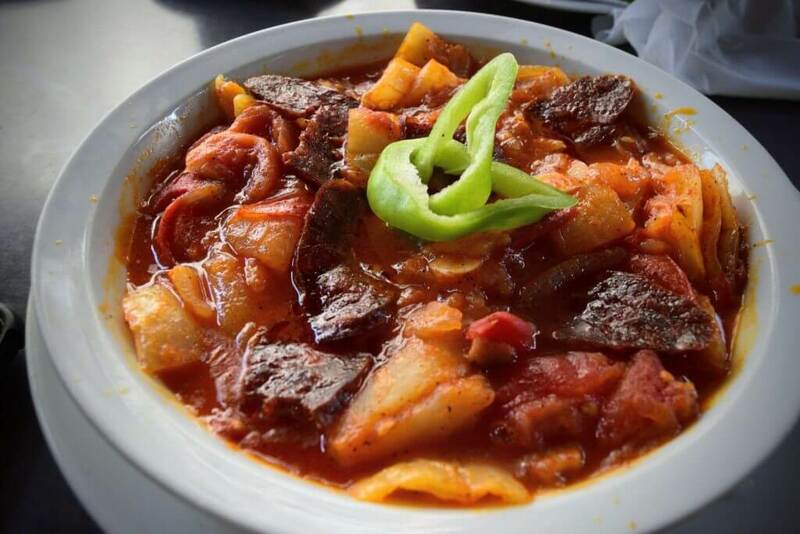 A traditional Hungarian meat stew seasoned with paprika (which means pepper). We tried this dish a number of times as well. Paprika does not originate from Hungary, but Hungarian food is commonly associated with paprika. Go into any souvenir store in Budapest and you will be amazed at the varieties of paprika being sold. 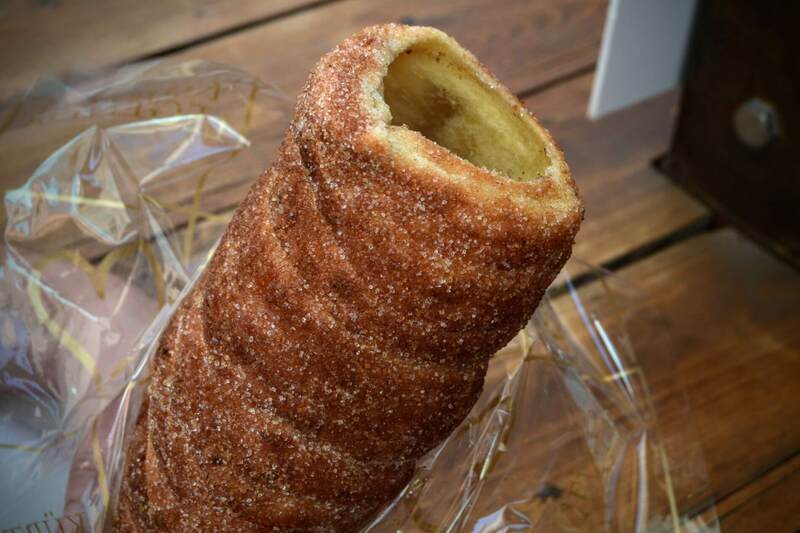 This cake/bread, Kürtőskalács, is good! 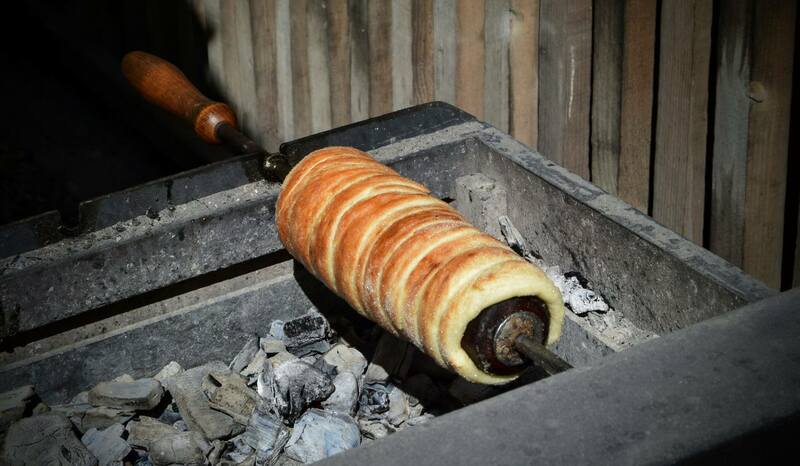 The dough is dipped in cinnamon and sugar, wrapped on a cone for the shape, and rotated over charcoal heat. 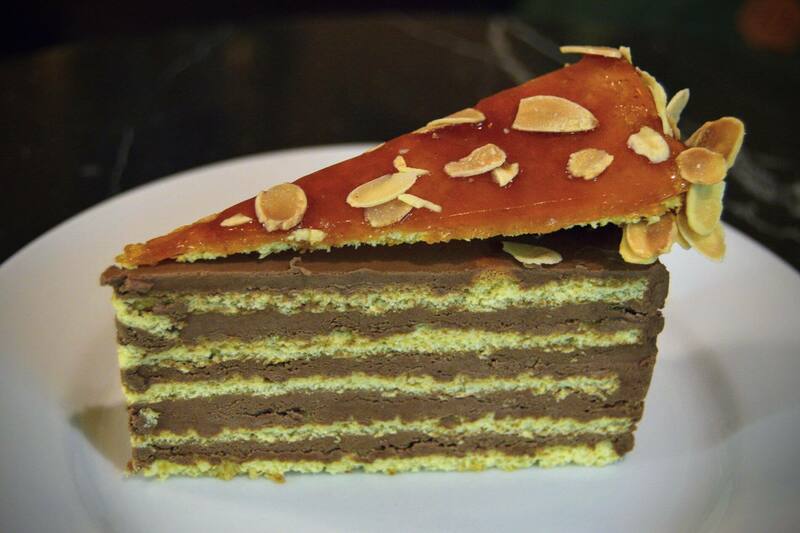 A chocolate buttercream cake topped with a layer of caramel, invented by a Hungarian chef with the last name of Dobos, so it’s obvious where the name came from. We picked a cafe for an afternoon coffee break and got cake and coffee! 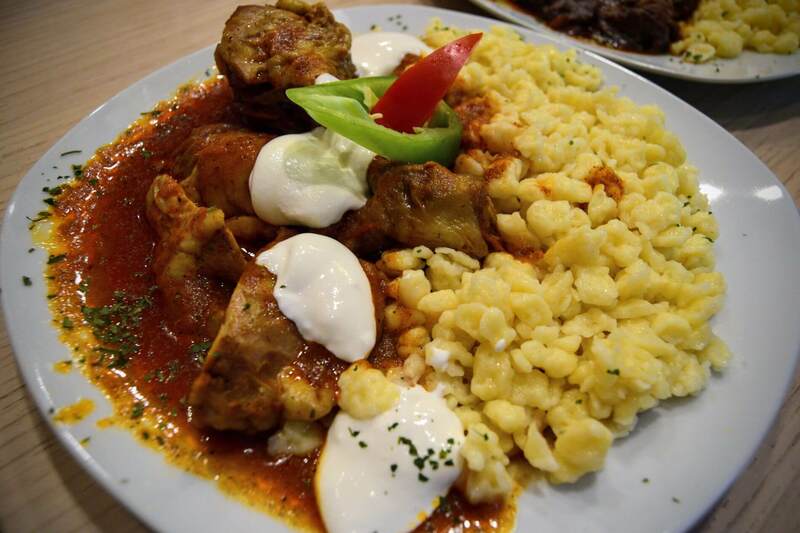 Paprika chicken, which is similar to goulash. The dish is typically served with special dumplings as pictured. 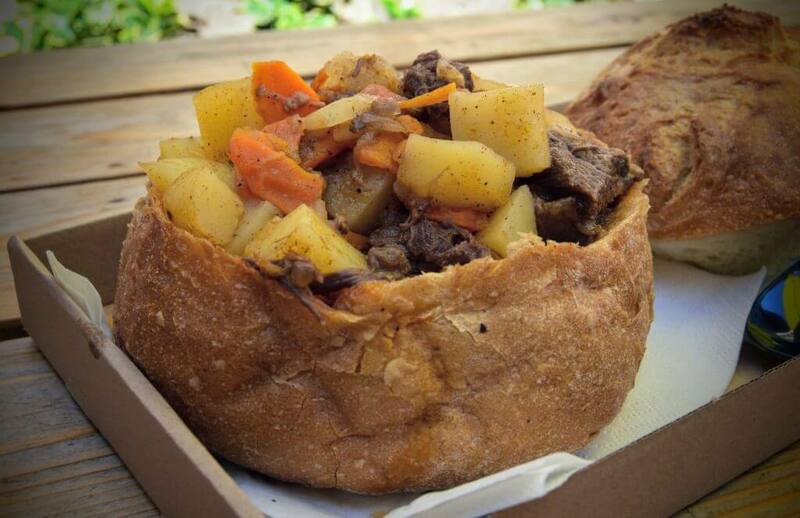 A Hungarian pot roast, served with the same type of dumplings. 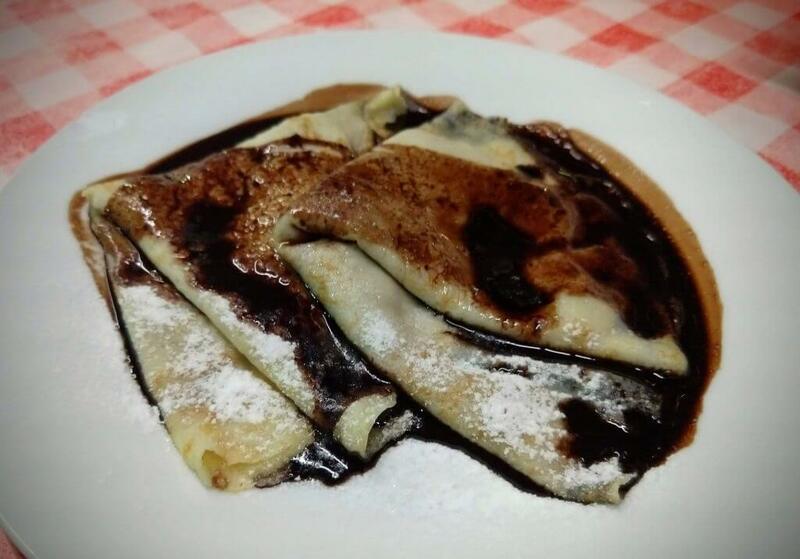 A pancake, similar to the French crepe. Traditionally with chocolate and walnuts. The recipe is supposed to be top secret and the original one only served at the Gundel Restaurant. The dish is called lesco in Hungarian. Ratatouille is a french dish and this is the Hungarian version, a thick vegetable stew (of course with paprika). This has been the first post I’ve written about that is solely on food! 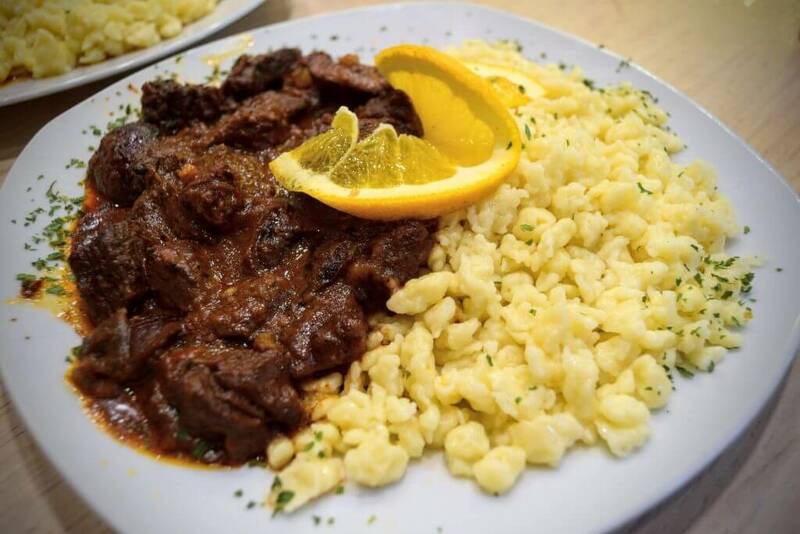 Are there any Hungarian foods you know of that we didn’t get a chance to try? Feel free to share and comment below!